Hopefully everyone survived yesterday’s Blizzard!! Looking at the five day forecast the weather men and woman are indicating that we are going to have an early January thaw. The warm temperatures will be nice BUT could pose some more significant problems to our area with flooding. The melting snow might have trouble draining properly because of the frozen ground. Snow can hold a lot of water. There are some steps you can take as a homeowner to try and limit the flooding. Avoid having snow drain next to your house. Make sure your downspouts carry water several feet from your house to a well-drained area. One foot of snow on a 1,000 sq. ft. roof can produce approximately 2,500 gallons of water. Don’t allow snow to accumulate on the ground next to your house especially if the ground is flat. As snow melts, water could accumulate and seep in. Your moving accumulated snow just a few feet away from the house can can help avoid a wet basement. If you have a sump pump, test it periodically and keep it clean from debris. Make sure the discharge hose carries the water several feet away from the house to a well-drained area. Also make sure that the pipe is on sloped ground so it drains to prevent it from freezing. Remove large piles of snow to a well-drained area. A 20-foot diameter, 10-foot high pile of snow contains about 2,600 gallons of water. Most people do not realize that flooding is not covered under their Massachusetts homeowners insurance policy. Contact our office at 978 365-2302 or http://www.koinsurance.co to find out more about obtaining a flood insurance policy for your home. 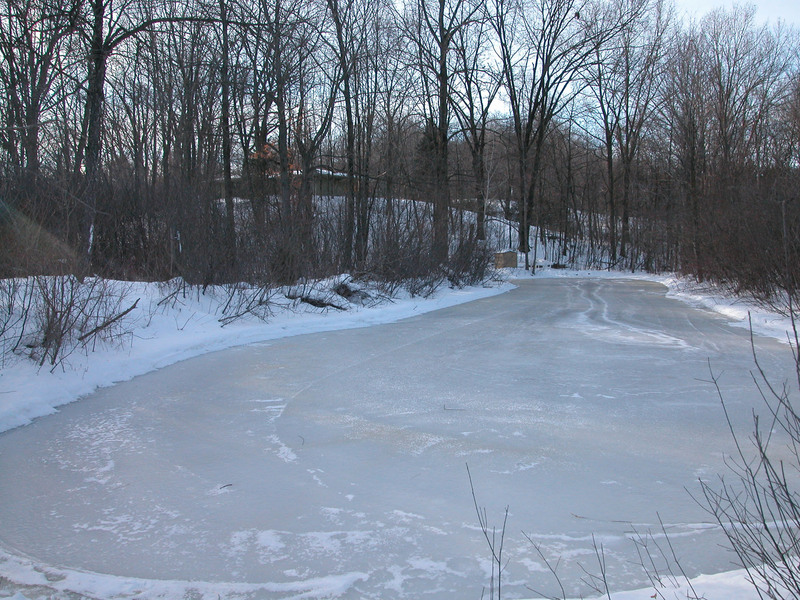 As temperatures drop, and bodies of water throughout the area begin to freeze over, the Massachusetts Emergency Management Agency (MEMA) has issued information regarding safety precautions to be taken on our frozen lakes, rivers and ponds. Always check with your local police, fire or park department to ensure that safe ice conditions exist. However, due to the uncertainty and constant changing of ice conditions and the dangers presented, many departments will not endorse the safety of lakes, ponds, streams or rivers. The strength and thickness of ice should be known before any activity takes place. • Never go onto the ice alone. A friend may be able to rescue you or go for help if you fall through the ice. • Always keep your pets on a leash. If a pet falls through the ice do not attempt to rescue your pet, call 9-1-1 or go for help. • New ice is usually stronger than old ice. As ice ages, the bond between the crystals decays, making it weaker, even if melting has not occurred. • Beware of ice covered with snow. Snow can insulate ice and keep it strong, but can also insulate it to keep it from freezing. Snow can also hide cracks, weak and open ice. • Slush is a danger sign, indicating that ice is no longer freezing from the bottom and can be weak or deteriorating. • Ice formed over flowing water (rivers or lakes containing a large number of springs) is generally 15% weaker. • Ice seldom freezes or thaws at a uniform rate. It can be one foot thick in one spot and be only a few inches thick 10 feet away. • Reach-Throw-Go. If a companion falls through the ice and you are unable to reach that person from shore, throw them something (rope, jumper cables, tree branch, etc.). If this does not work, go for help or call 9-1-1, before you also become a victim. Get medical assistance for the victim immediately. • If you fall in, try not to panic. Turn toward the direction from which you came. Place your hands and arms on the unbroken surface, working forward by kicking your feet. Once out, remain lying on the ice (do not stand) and roll away from the hole. Crawl back to your tracks, keeping your weight distributed until you return to solid ice. By following safety procedures, you can be safe and enjoy the many winter activities offered by the great outdoors. The video clip above from the Building and Fire Research Laboratory of the National Institute of Standards and Technology illustrates what happens when fire touches a dry tree. Within three seconds of ignition, the dry Scotch pine is completely ablaze. At five seconds, the fire extends up the tree and black smoke with searing gases streaks across the ceiling. Fresh air near the floor feeds the fire. The sofa, coffee table and the carpet ignite prior to any flame contact. Within 40 seconds “flashover” occurs – that’s when an entire room erupts into flames, oxygen is depleted and dense, deadly toxic smoke engulfs the scene. Wet trees tell a different story. For comparative purposes, the NIST fire safety engineers selected a green Scotch pine, had it cut in their presence, had an additional two inches cut from the trunk’s bottom, and placed the tree in a stand with at least a 7.6 liter water capacity. The researchers maintained the Scotch pine’s water on a daily basis. A single match could not ignite the tree. A second attempt in which an electric current ignited an entire matchbook failed to fire the tree. Finally they applied an open flame to the tree using a propane torch. The branches ignited briefly, but self-extinguished when the researchers removed the torch from the branches. As NIST fire safety engineers say: REMEMBER, A WET TREE IS A SAFE TREE! You are currently browsing the Koinsurance's Blog blog archives for December, 2010.